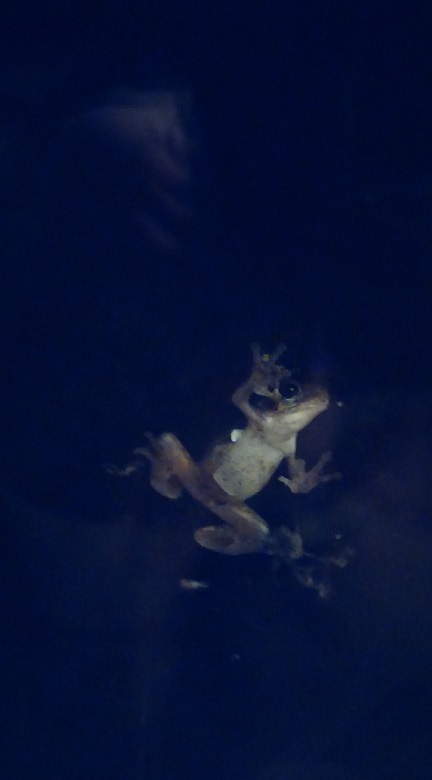 We went to Glen’s mothers house yesterday evening and this fella was sitting on her front porch light. 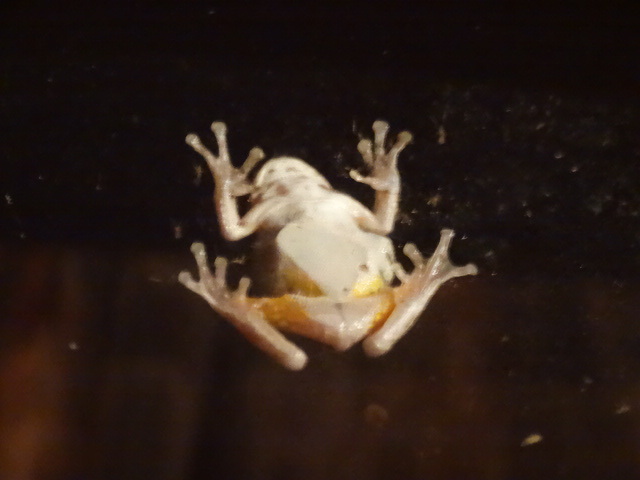 Guess he was waiting for night to fall so he could partake in bugstravaganza. 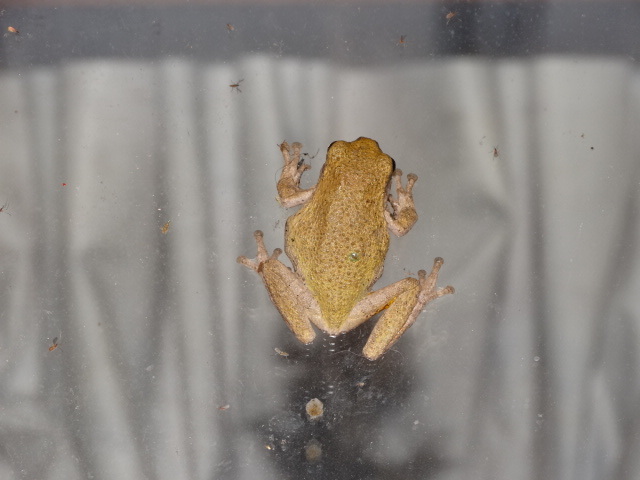 Cute little tree frog that decided our living room window was the perfect place to hunt for bugs. 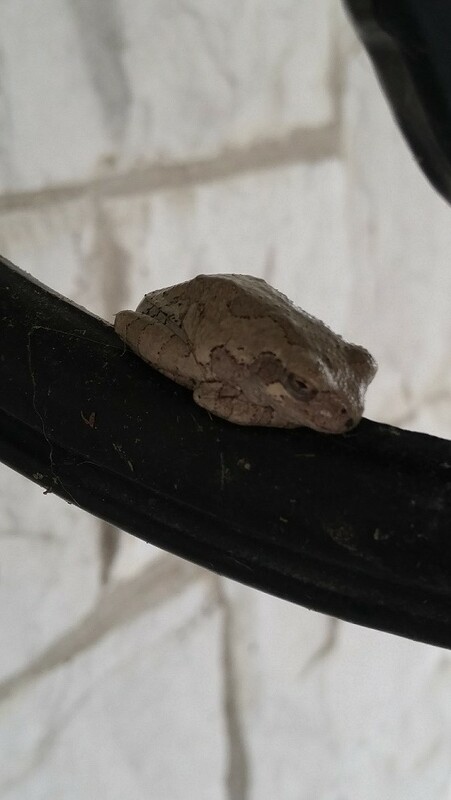 This guy was in the garden, just hanging out. He was gorgeous, healthy and big. 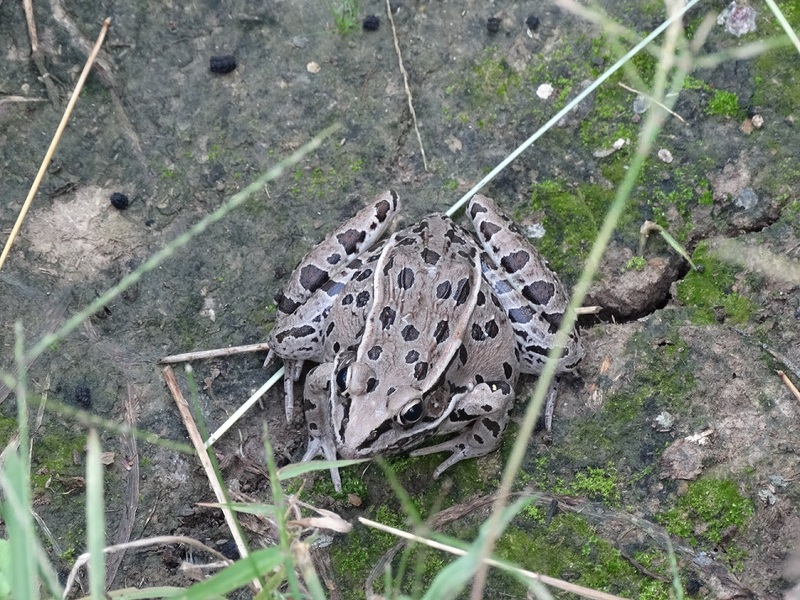 I’m not sure if this is a leopard or a pickerel frog. Either way he was good company while we were out picking tomatoes. 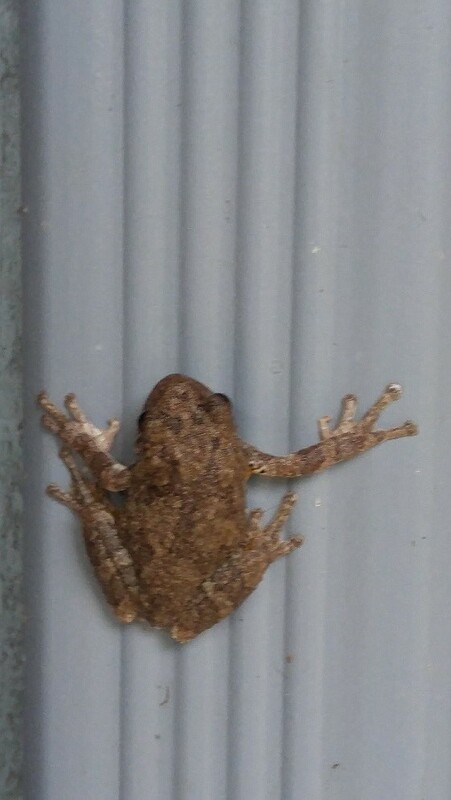 I was wondering if our little green friend was going to show up this year. 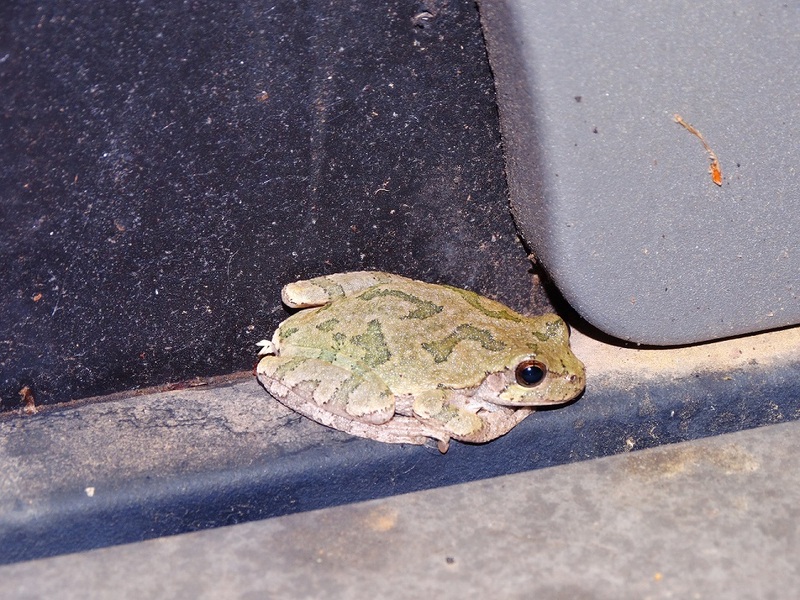 He decided hanging out on the grill was the safest place to be to catch bugs. I was up late watching “Shaun of the Dead” the other night when Lilly started twittering. She does that when she sees something she wants to chase and kill, like a moth or a bird. 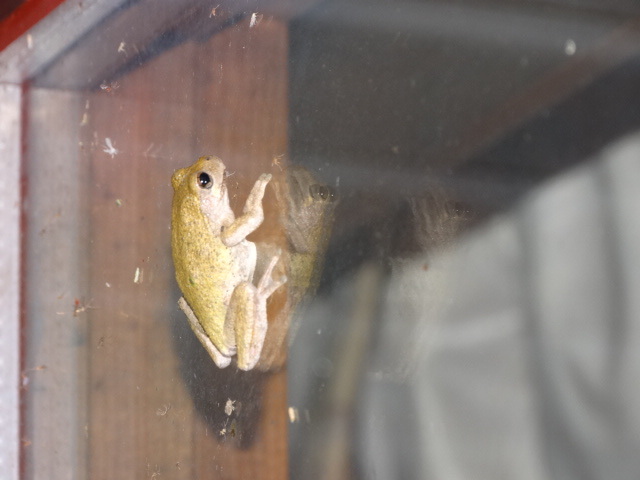 I looked at the window to see what she was looking at, and lo and behold, there was a cute little tree frog. It has a good gig going on eating the bugs that our living room light attracts.